E-Commerce Web Design. Make the Internet your Marketplace. Make the Internet Your Marketplace! Our E-commerce web design service provides you with everything you need to start conducting business online. 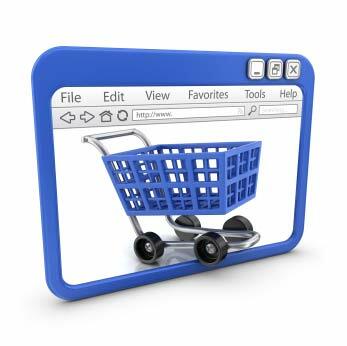 With an E-commerce website Internet markets become your potential customers. E-commerce web design brings the whole world to the merchant’s doorstep. Just think of the possibilities! Excite your shoppers with awesome design and professional features; create shopping madness! Help you choose the features your project requires, structure the E-commerce workflow (product and shipping options, payment processing, fulfillment process) build your site and teach you how to use it. You can’t sell unless people find you. Basic SEO is built-in all our web design projects, and we also offer professional Search Engine Optimization and Digital Marketing programs. Setup a secure web hosting environment for your website using SSL technologies and multiple layers of security at the DNS, server and data-center levels. Initial design is just the beginning. On-going maintenance and support, site core updates, new features, re-training of new staff – we’ve got you covered. We strive to complete all assignments on-time and within budget. Modern, responsive structures to showcase your products. Web development, Product Catalog, SEO, hosting, support. 1-stop shopping at its best! Gateway for Canadian/US Merchant accounts and PayPal connectivity. Web Development and Business Photography/Video options, Content Copywriting, WooCommerce features including shipping calculators, checkout processes, discount coupons and vouchers, wholesale, product searches, customer login, sales reports, business web hosting options and more. Payment processing gateway to Canadian/US merchant accounts, Paypal integration, shopping cart customization, off-site credit card authorization solutions, automatic billing systems, recurring billing. All from a single source for peace-of-mind, faster implementation and no headaches! We will help you choose.